These rides are for women who want to join a friendly and informal cycling group. The routes are planned with the assumption that you are a confident rider who has ridden a minimum of 25 miles/40km and that you will be on a road bike. Please carry a pump and tube for any punctures and nutrition to get you through the ride! 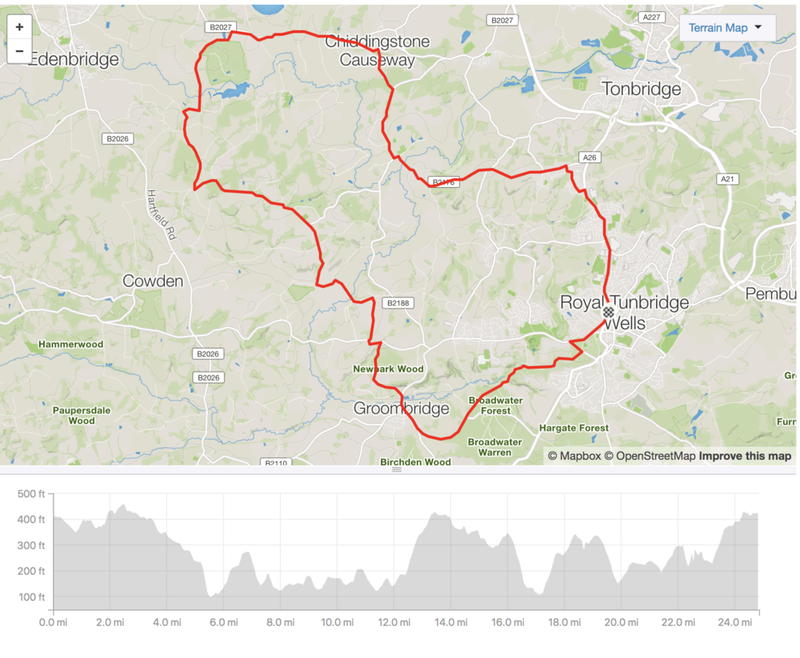 The next ride will start at 09:00, meeting outside The George, 29 Mt Ephraim, Tunbridge Wells http://thegeorgepubtunbridgewells.co.uk This is also where the ride will finish and there will be locks available, should you wish to stay for a post-ride drink. TCX Course file: contains all the navigation to use with your Garmin Edge series devices. This is the most common file format that we recommend to get turn-by-turn navigation.